The state of Gujarat is one of the vibrant states of the country. It lies in the western part of the country and forms the western sea boundary of the country. The state has everything from beaches to historical places, forts, temples, wildlife sanctuaries, mouthwatering cuisines own distinctive architecture and friendly people. It was the place of Lord Krishna in ancient times a famous province during the medieval period and birthplace of renowned freedom fighters in the modern history of India. The Gujarat tour packages are very popular among both domestic and international travelers. 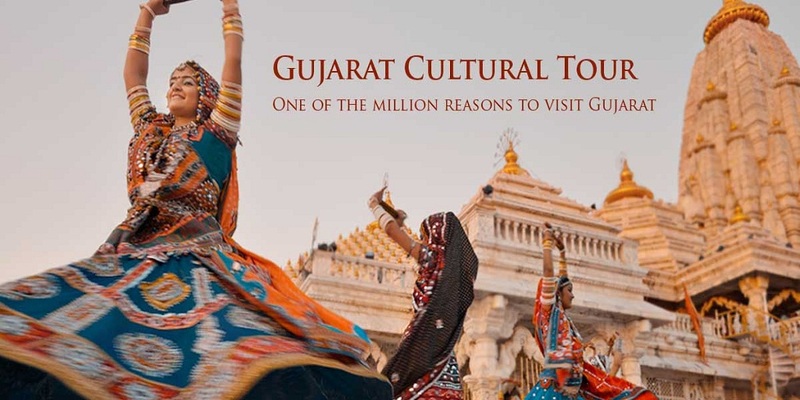 The best part of the Gujarat tour package is that the connectivity of the state is one of the best in the country and one can travel to any part of the state without hassle. Since Gujarat is a large state we have created several packages for our clients. Each package highlights a unique aspect of the state. Our packages include best of the Gujarat, heritage package, temple package, and Gir national park and wild tours and due packages. But some places are part of every package. Ahmedabad is the commercial and trade capital of the state. It is home to many architectural wonders and has many heritage sites and also the famous Akshardham temple. The Somnath temple is one of the most visited temples in the state the other nearby sacred places, Bhalka Tirth and Dehotsarga, are also included, Where lord Krishna ended his earthly existence. For wildlife lovers the state boasts of the Gir national park the only place in the world that is home to the majestic Asiatic lions. The Rann of Katch has its own distinctive beauty which cannot be found in any other place in the world because this place is unlike other parts of the earth. It is a treat to watch the white land without any hindrance till the horizon. Camping, camel riding, traditional handicraft, folk dances etc. are part of the activities that a tourist can indulge in. The visit to Gujarat will be incomplete without the visit to the Dwarka, the place associated with Lord Krishna. To understand the cultural history of the state, the visit to various well-maintained museums of textile, tribal culture, and museum of rare collection completes the visit. Travel expenses, welcome drink sumptuous breakfast and dinner are part of the every package. @Copyright 2018 pilgrimpackages.com All rights Reserved.